In every sport there is always the proper way to perform a shot – perfectly and efficiently. In tennis – the forehand top spin; in basketball – the jump shot and the follow through; in badminton – the smash; in table tennis – the forehand loop. 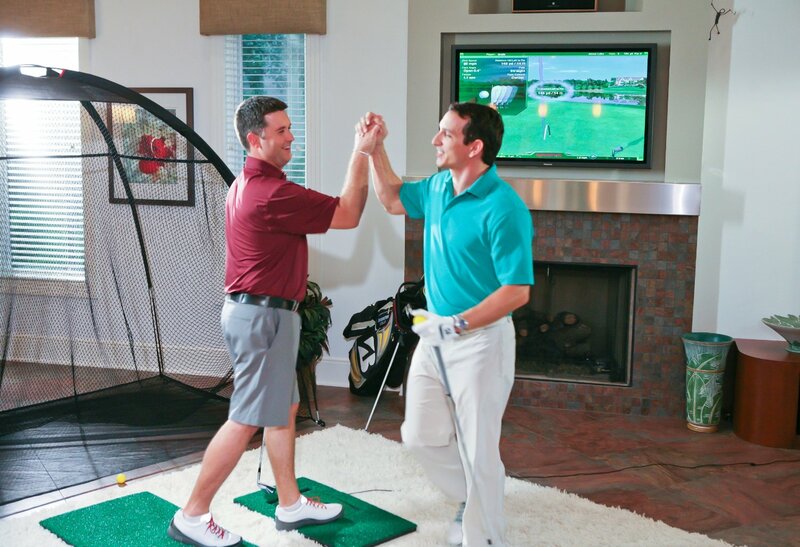 In as much the same way in golf – the golf swing! If you play golf it is very crucial that you have the proper golf swing. You won’t improve much and get better scores if you’re not swinging properly. There are various ways to improve your golf swing – you can hire a coach; play more in golf courses or driving range which will cost you more of course or you can simply practice in your own home — using a golf simulator. In this article we will look at one of the (if not the) most popular golf simulator in the market these days; the Dancin Dogg OptiShot 2 Golf Simulator! We shall look into the finer details and review it for you to see how it can help you improve not only your golf swing but your overall golf game. 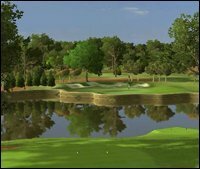 What Is The OptiShot 2 Golf Simulator? 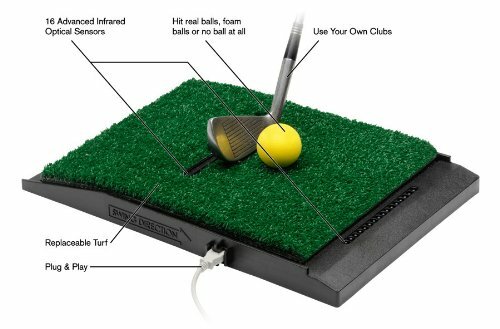 The OptiShot 2 golf simulator is a computer-aided infrared-based indoor golf simulator which you can hook up on your computer. It is designed and engineered by people who are leaders in the world of golf analytics so you can expect a fully immersive, super realistic, virtual golf experience. 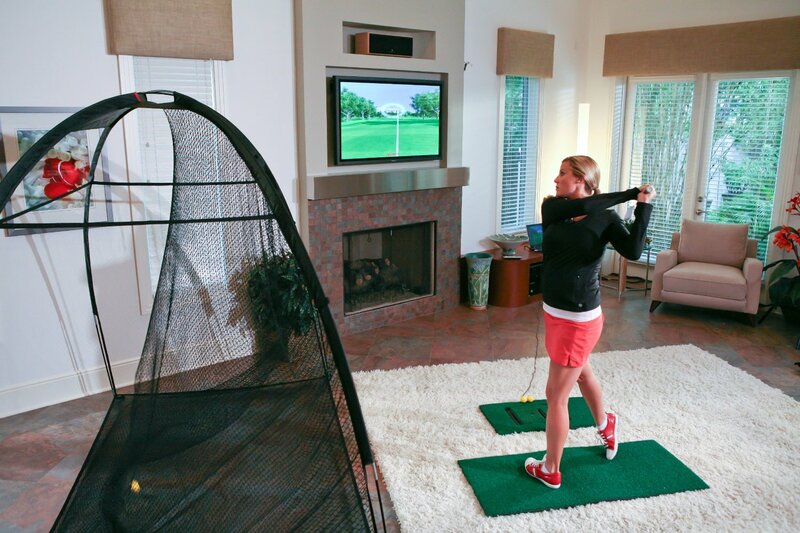 With this golf simulator, you can use your own golf clubs to hit different shots, like drives, approach shots and putts – all in the comfort of your own home. It can be setup pretty easily in small spaces – all you need is your computer (or plus an optional hi-def TV or projector), your clubs, about 8.5 ft of ceiling and you can play 18 holes in under an hour. The simulation from OptiShot is in a realistic 3D environment with high-definition graphics and the sound that comes out from it (birds chipping and singing) sounds just like the real thing. The proprietary technology in the OptiShot and the crystal-clear graphics make you feel like you’re on a real course. Unlike those video games that most kids play, the OptiShot golf simulator has no controllers and no consoles, so it is really easy to play. Take note that with OptiShot, you can use your own balls, the practice foam balls that are included or no ball at all. What Are The Features of The OptiShot 2 Golf Simulator? It has sixteen (16) advanced, precisely-tuned, high-speed 48MHz infrared optical sensors. Each sensor tracks your golf club, before, during and after each contact. This in turn, gives you precise and accurate evaluation and feedback on each and every shot. What Accessories Are Included In the OptiShot 2? How Much Is The OptiShot Golf Simulator Price? The OptiShot 2 Golf Simulator comes at a very affordable price of less than $500. If you compare this with hiring a coach or playing more in golf courses or driving ranges, it will turn out to be a no-brainer. Considering also the fact that you shall improve with this gadget, the cost of your improvement is less than the cost of a new driver. 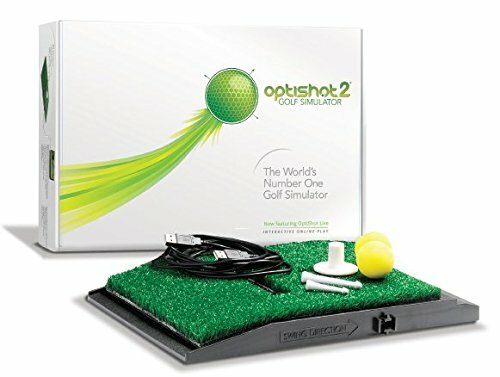 How Can The OptiShot 2 Golf Simulator Improve My Game? 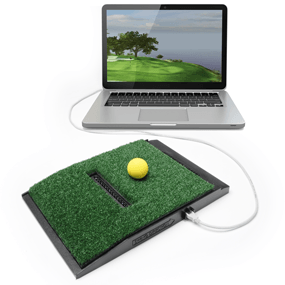 You must be asking the question, how this OptiShot simulator could help me improve my game? If you have the desire to improve your game and practice regularly, this tool will definitely help you improve. Imagine, having all those data in front of you in real-time! You can perform shot after shot and you will see what things you’re doing right and obviously what’s not. The OptiShot expertly breaks down your swing at impact and provides you with instant analysis. In this manner, you can correct the things you’re not doing appropriately and in turn, you can change your shots accordingly. As you practice your shots more, accuracy and efficiency will follow and thus your game will improve dramatically. Remember, this equipment is just a tool – you have to commit your part still, if not, then this is just another tool! What Do Users Say About the OptiShot 2 Golf Simulator? OptiShot 2 is awesome and just incredible as playing with friends and family can be online as well – really cool! The OptiShot 2 Golf Simulator is one of those technologies that enable you to improve and make yourself a better golfer. With the improvements done compare to the first version of OptiShot, virtual golf experience has never been the same. Whether you use the OptiShot for entertainment or to hone your skills, it will definitely help you improve your swing and overall game. With the equipment’s easy setup feature, affordable price, warranty and excellent feedback from actual users, the OptiShot 2 comes highly recommended. Click here to buy the OptiShot 2 Golf Simulator From Amazon At A Very Good Price!